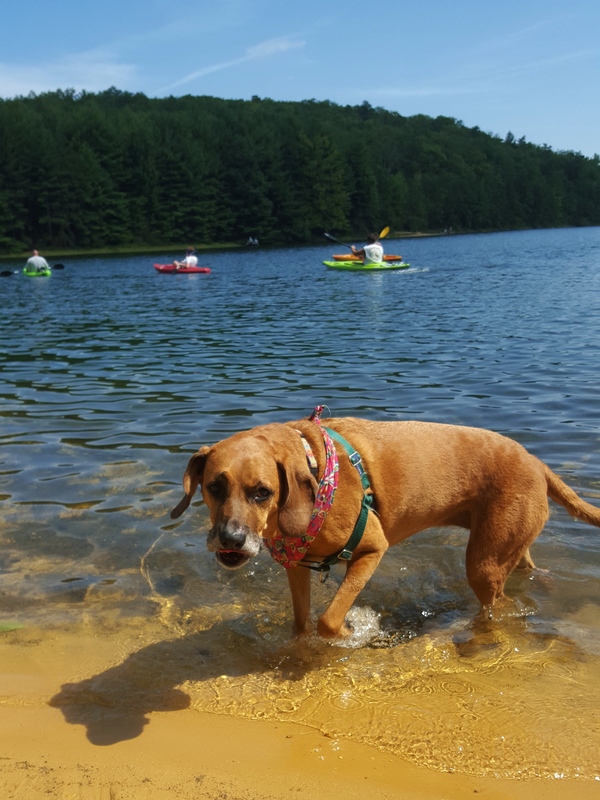 Caledonia State Park, PA…Put it on the short list! Caledonia State Park is quite possibly one of the prettiest state parks near Frederick, Maryland. The air is scented with pine, the creek bubbles and gurgles as it curls its way through the park, and the towering pine trees leave me with the most serene, peaceful feeling every time I visit. Labor Day Weekend I was invited up by Queen V. She was spending the weekend at the park and decided to come out of her tent to hike with me! I haven’t seen her since the backpack in June and was looking forward to hearing about her hike in Sweden. One of these days I will go on a hike somewhere in Europe…but until then I depend on my international hiker friends, like Queen V!! Stopped at the visitor center to pick her up, then headed to the Hosack Run area to pick up the Greenwood Road Trail. We walked through the woods catching up on the summer and on Queen V’s adventure on the Fjallraven Classic. 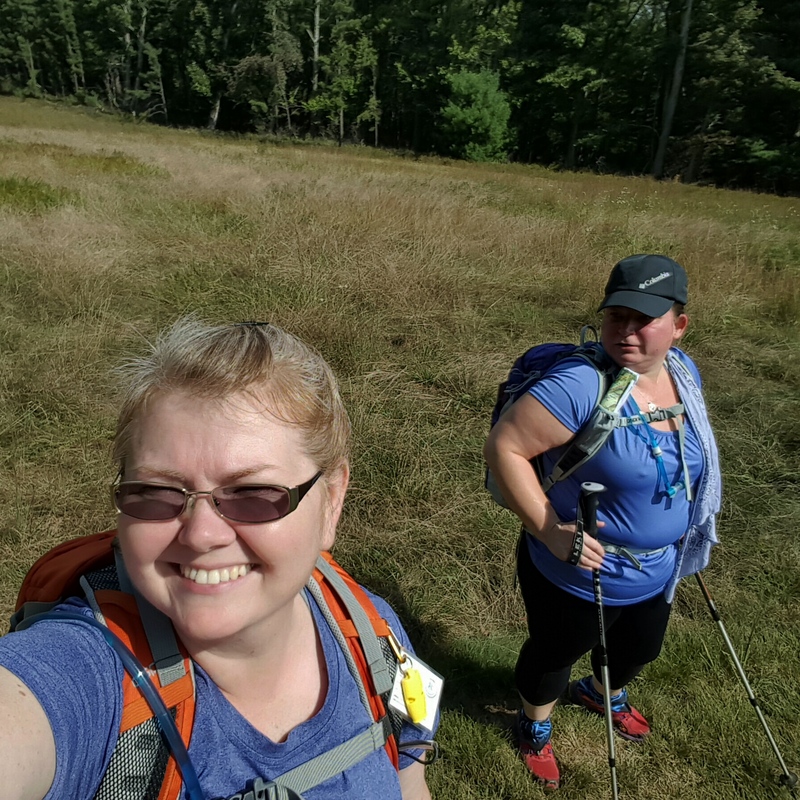 BoobOnARock and Queen V take to the trail…oh it’s on! 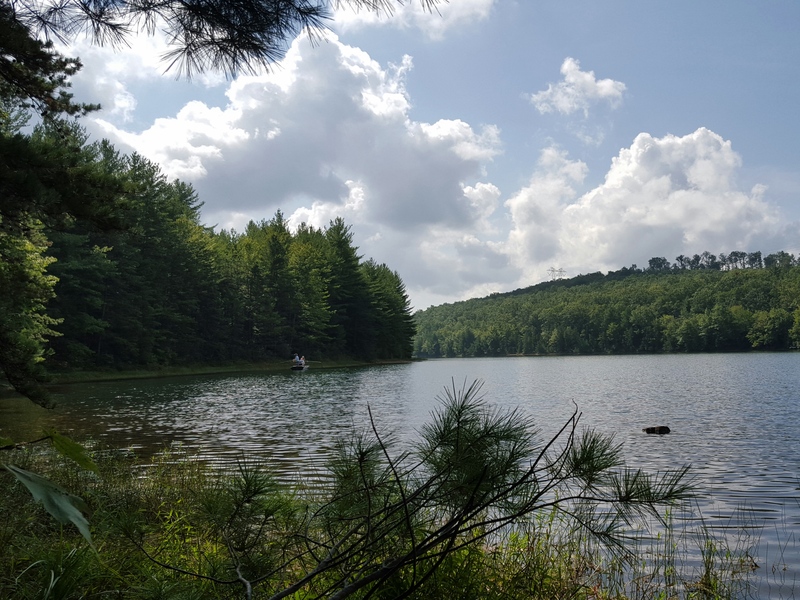 We were hiking to the Long Pine Run Reservoir in Michaux State Forest. September was here and the start of the day had been crisp! I could feel a hint of autumn in the air! The terrain was perfect for my recovering knee (injured last weekend dodging a bee…). There were no big step downs, which are still giving me a bit a pain. 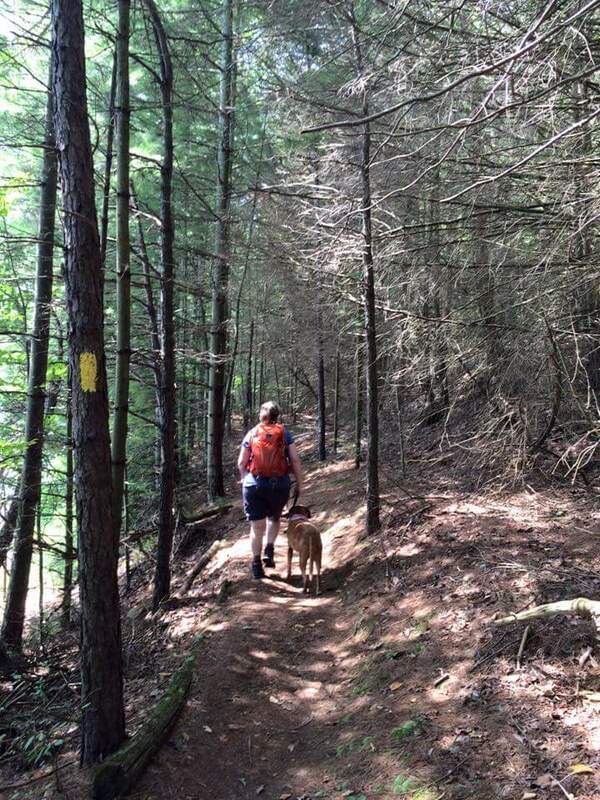 But more than that, there are so many pine trees that the trail is pretty soft in spots…love it! We stopped for lunch in one such spot. Sinking into the ground we started pulling out our goodies…oh, what’s that? 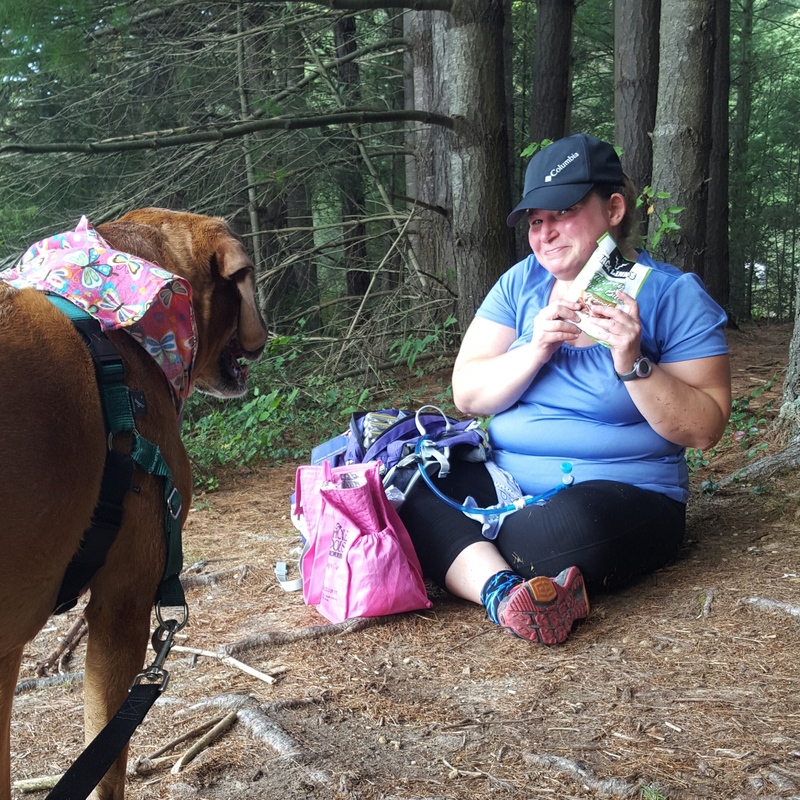 Queen V brought Sidekick Pauli’s favorite…summer sausage! Lucky, lucky dog! Thank you to Queen V for including me in her Labor Day weekend getaway! This was awesome! 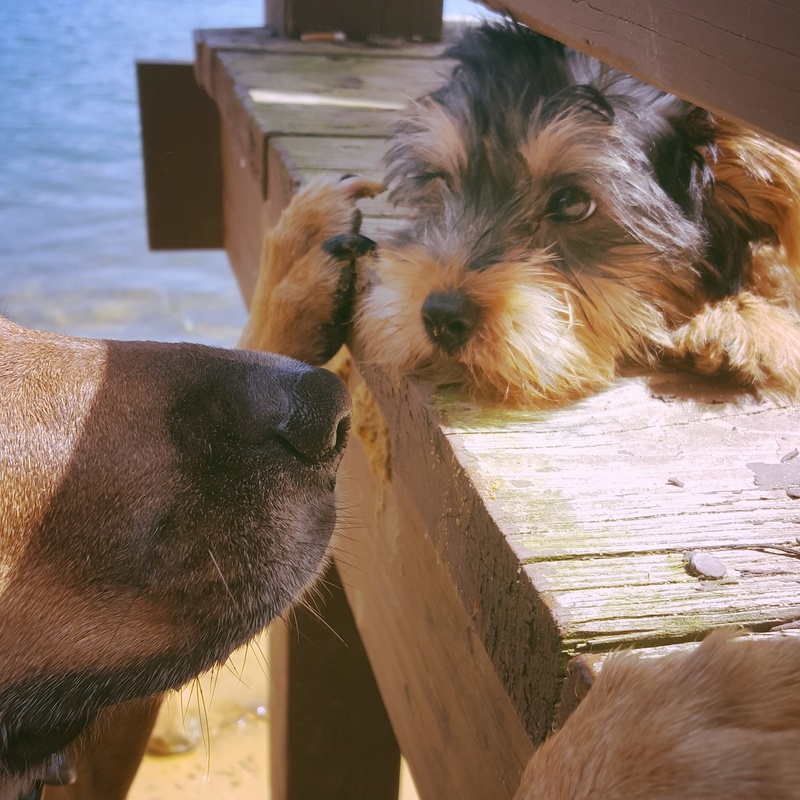 Grab a good friend and Hike on!